Success is what customers want! They want to perform well, achieve excellence, and realize the value they expect from the goods and services they purchase. To ensure customer performance, companies must design experiences with that goal in mind. Our approach is the Coproduction Experience Model, which integrates the elements of vision, access, incentive, and expertise. By using the Coproduction Experience Model to guide the design of customer experiences, companies ensure the conditions for customer performance are favorable. Here's an example. When Southwest Airlines implemented its e-commerce strategy – southwest.com – in the 1990’s, customers were set up for success. With regards to vision, various promotional channels communicated to customers an attractive, novel goal – book your own tickets. For access, the web site itself provided the tool and a simple interface for completing transactions. The incentive to perform was the double Rapid Reward credit, which enabled customers to earn free flights twice as fast. Finally, expertise was provided by step-by-step booking instructions available on the site. Learn about each of the Coproduction Experience Model elements below. In Ken Blanchard’s book Raving Fans, customers are encouraged to develop a vision of how they would use products. Through this vision, customers articulate the goals they have, as well as the tasks and actions they expect to perform to achieve those goals. In coproduction experiences, companies must help customers shape their goals, expectations, and plans in such a way that balances customer needs and the capabilities of the company. But vision isn’t just about goals. 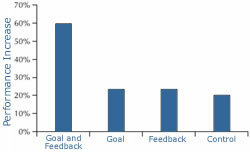 It is also about the feedback customers receive as they attempt to achieve goals. In a classic experiment by Albert Bandura and Daniel Cervone, subjects experienced different combinations of goals and feedback in relation to an exercise task. Subjects who received both goal and feedback outperformed subjects who received only a goal or only feedback by 60 percent. Winston Churchill once said in the early days of World War II, “We shall not fail or falter; we shall not weaken or tire ... Give us the tools and we will finish the job.” Many customers have the same sentiment when trying to use goods and services. 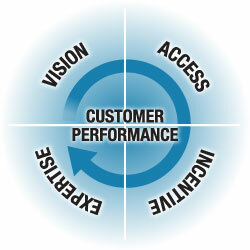 Access reflects the resources a company provides so that customers can perform. Access consists of seven key tactics. 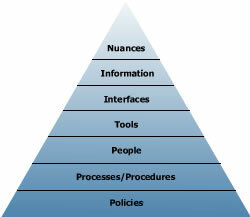 The foundation is policies, which provide the rules for the coproduction experience. Processes and procedures provide the script for how customers are expected to perform (and how companies respond to their performance). Since coproduction involves people, companies have some choice in who performs coproduction tasks. To make tasks simpler or more convenient, tools, such as self-service technologies, are used to supplement or enhance experiences. Additionally, interfaces, such as the floor plan of a store or the ergonomic design of a product, have an effect on customers’ ability to complete tasks. Furthermore, information, such as nutritional labeling on food, help customers make better choices. Coproduction experiences are rounded out through the inclusion of nuances, which subtly influences performance through sights, sounds, smells, touches, and tastes. Customers sometimes need a kick-in-the-pants to do something differently. Incentives (or disincentives) can be powerful motivators to convince customers to try new things or stop bad behavior. Rewards are the typical incentive-of-choice in coproduction experiences, and they range from simple recognition to cold hard cash. But companies are not just limited to rewards in shaping customer performance. Disincentives, in the form of punishments, can prevent certain customer behaviors that are incompatible with the coproduction experience expected by the company and other customers. Overdrawing your checking account costs you a $30.00 charge. Being late in returning a video rental costs you another day’s rental fee. 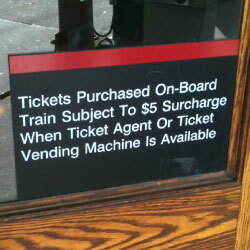 Or, buying your train ticket on board the train rather than at a self-service ticket kiosk costs you $5.00 extra. Expertise reflects the knowledge and skills customers must possess to do the work the coproduction experience requires. Companies can choose from a variety of customer education solutions to build the expertise of customers. Typically, customers start their journey toward expertise with basic tools, such as an instruction manual. This familiarizes the customers with the product and points them in the direction of initial success. Embedded tools in the product, such as user assistance or voice-driven prompts, provide just-in-time knowledge for the task. If the customer runs into problems during execution of the task, problem tools, such as a telephone customer service representative, help the customer navigate troublespots. When put together, these three tools focus primarily on the helping the customer develop the minimum expertise necessary to achieve initial success with goods and services. For longer-term development and expertise enhancement, two other tools come into play. Premium tools, which typically involve formal training, are included in the system if tasks associated with the product are very complex or require physical skill. Support tools, such as web-based information and tutorials, focus on aiding the customer in the ongoing development of expertise. Vision - a monthly budget goal with daily feedback on actual spending. Access - an energy advisor who can educate the customer on special cost-saving rates and tools that provide energy usage information. Incentive - an energy rate that provides customers a discount when the use energy during non-peak times. Expertise - customer education that teaches customers about the discount rate and techniques for shifting usage to different times. Our Coproduction Experience Process drives the creation of great customer experiences. We analyze the current state of your customer experience across your products, services, and touchpoints. This analysis provides information about customer types, customer goals, and how customers currently achieve those goals. We also identify “bright spots” – things that you are doing well that can potentially be leveraged in the design or re-design of a customer experience. We use the results from Value Mining to design the coproduction experience. Our design methods include customer experience blueprinting, storyboarding, prototyping, and specifying Experience Performance Plans™ for both customer and employee audiences. We educate, guide, coach, facilitate, and mentor your teams as they implement the vision and customer experience designs described above. Implementation includes such activities as guiding IT requirements, advising RFPs and SOWs for vendors, guiding design of integrated marketing communications, advising training of internal staff to deliver the customer experience to a specific level of quality, and measuring the impact of the enhanced customer experience.